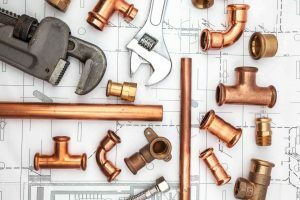 Preventative maintenance is the key to avoiding many of the more common plumbing issues that you may come across in your home. Preventative maintenance is the key to avoiding many of the more common plumbing issues that you may come across in your home. Some homeowners think that plumbing maintenance is tedious or just another extra expense. However, almost every homeowner with a plumbing problem wouldn’t agree with that! By spending a little money throughout the year on preventative maintenance, you can avoid costly repairs and replacements later on down the line. What steps can you take to avoid the dreaded middle of the night emergency call? Water heaters, especially residential water heaters, should last well over a decade with proper care and plumbing maintenance. Your water heater is an integral part of your home. It is used every day to heat the water for your morning shower and help wash the dinner dishes every night. Since it is such a necessary part of your plumbing, make sure that you check your water heater at least once a month for potential problems. Lower the temperature setting to 115 degrees to prevent any overheating issues. Furthermore, you should conduct a monthly inspection to make sure everything is okay. Check the temperature and pressure displayed on the appliance if you can’t hear any gurgling sounds. This can mean that water is not being properly released into the drain tube. If this cannot be repaired, your water heater may need to be replaced altogether. This entry was posted on Friday, July 6th, 2018 at 4:14 pm. Both comments and pings are currently closed.